Luella Walters is right -- these cookies could be eaten every day, as they are truly delicious and worth every calorie. 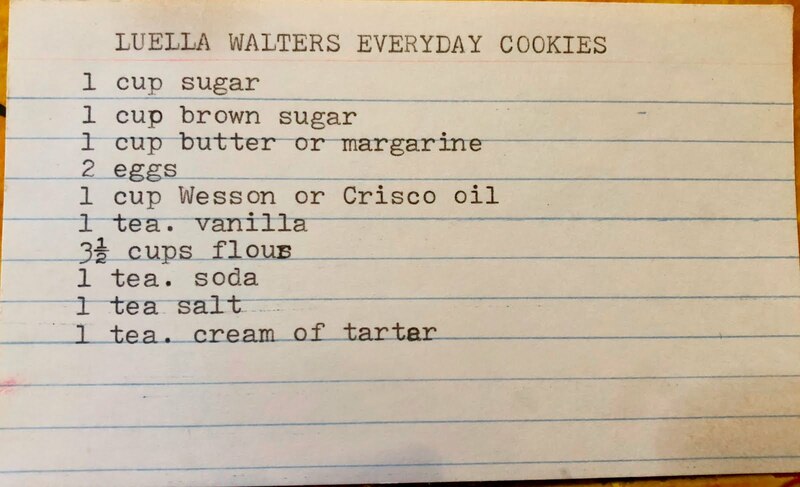 Other than that, I have no idea why Ms. Walters bequeathed them such a name. They have rice krispies and coconut, two ingredients I don't consider "every day" ones. They are also unusual in that they call for both butter AND oil -- and plenty of both. 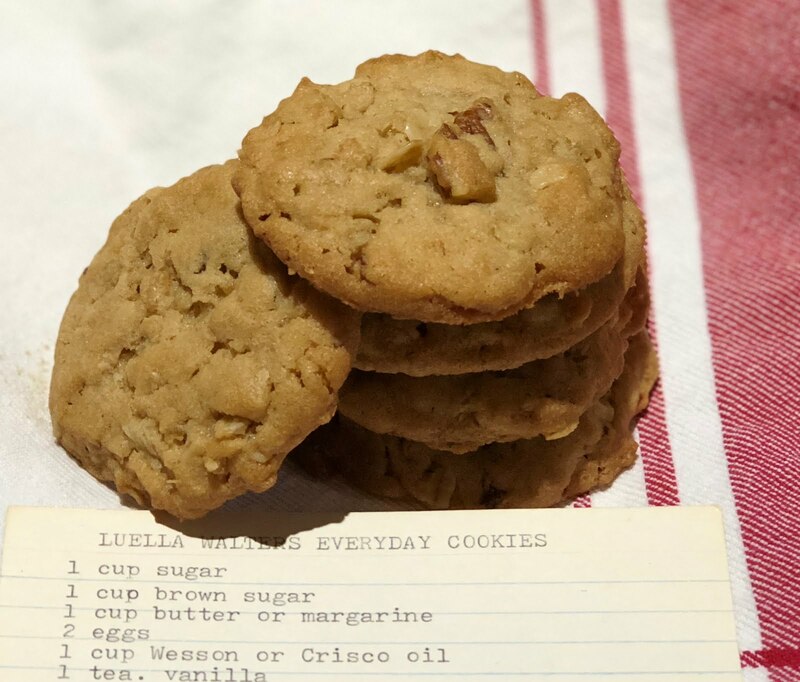 And, typical of vintage recipes, these aren't overly sweet. but still rather addicting. 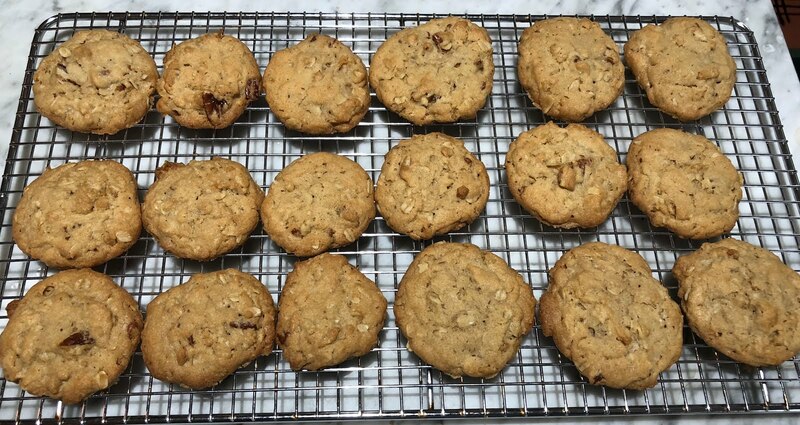 In fact, this is one of the few things I've baked that I, ahem, overindulged in. 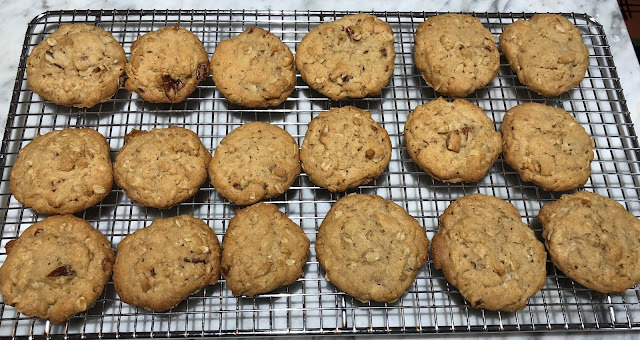 These cookies are very easy to make. 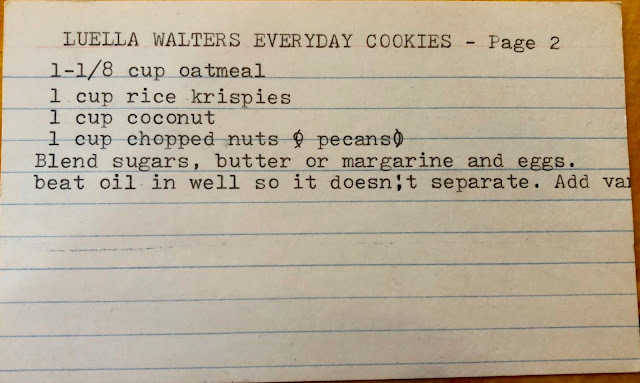 The recipe, on two cards, is little more than a list of ingredients. Perhaps the third card got lost? In any event, I've written my method at the end of the post. 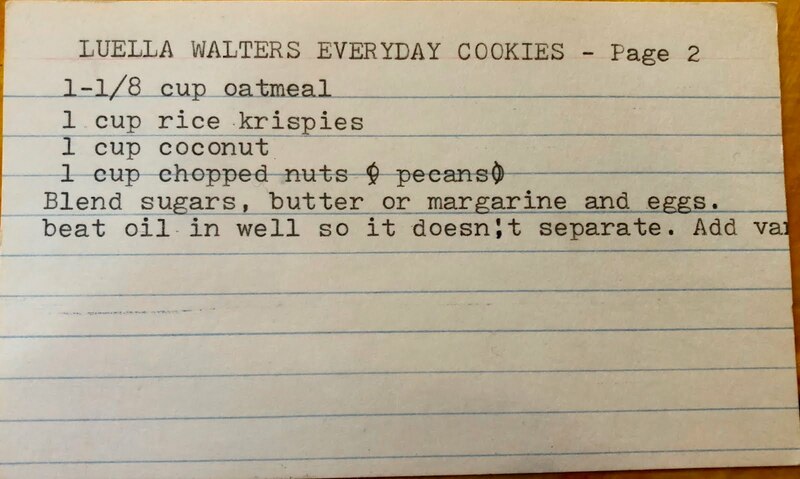 This recipe makes a lot of cookies. 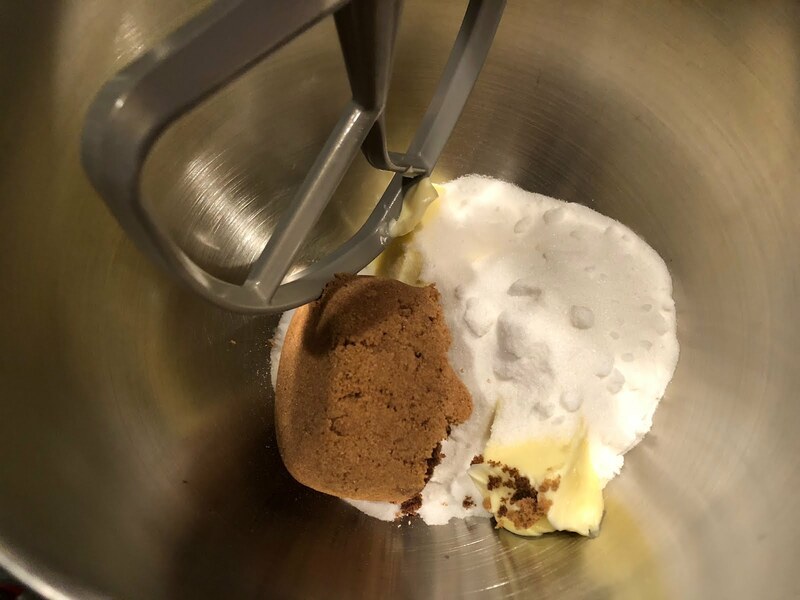 Start by combining the sugars and butter. Add the oil and beat well, until the batter is smooth. If you're like me, you'll be gathering ingredients as you go (not recommended; it's better to assemble everything before starting the recipe). But while the oil blended in, I combines the dry ingredients in a separate bowl and added to the mixture. 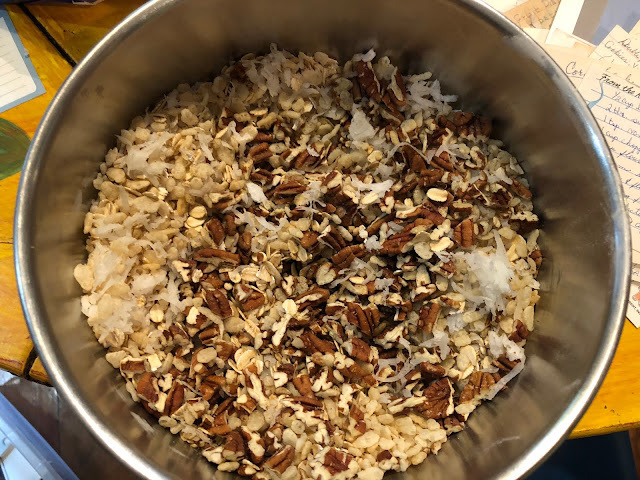 As that is combining, prepare the add-ins -- coconut, rice krispies and chopped nuts. 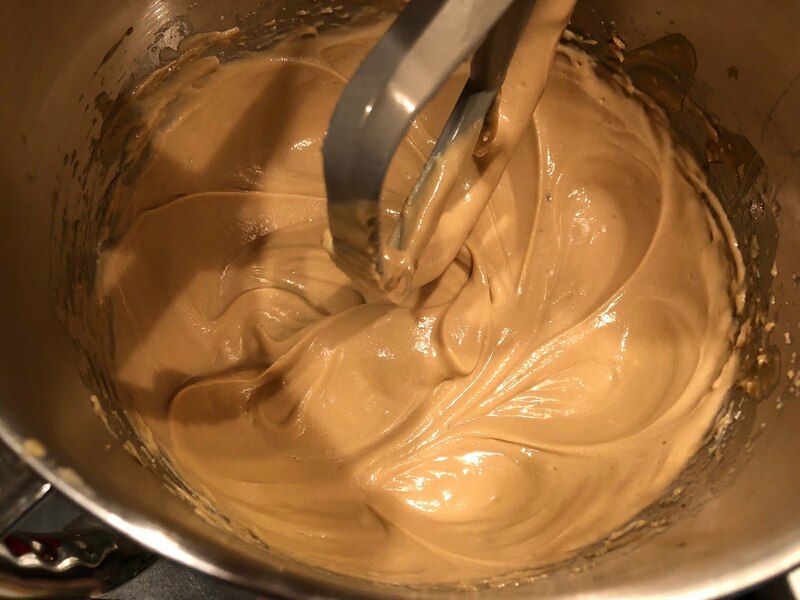 Add them to the batter. At this point, I popped the dough into the fridge for a couple of hours to run some errands. 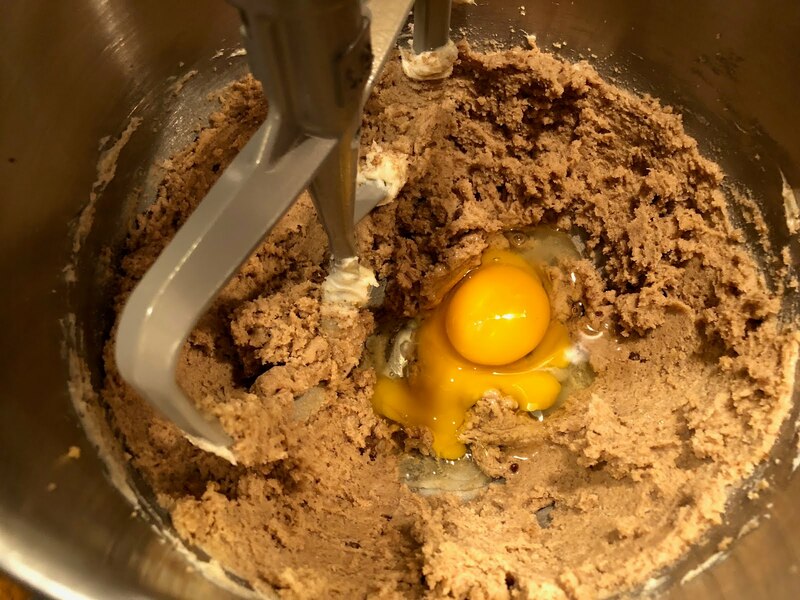 This will firm up the dough so it's easier to work with, but not necessary if you're in a rush for the cookies. 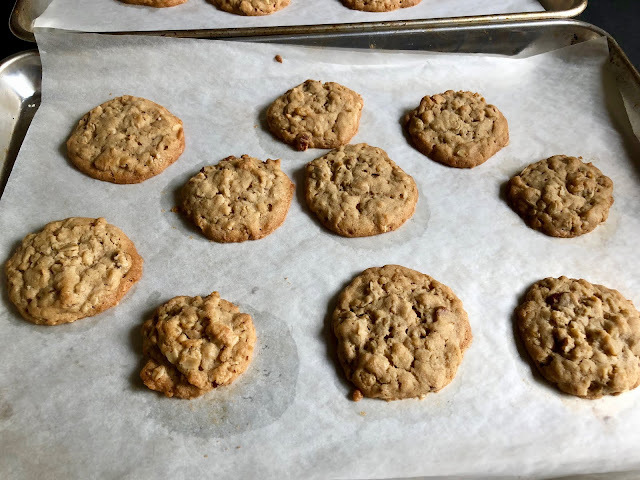 With a small cookie scoop, or your hands, form small balls and place them on a parchment-covered baking sheet. Reuse the parchment for all of the batches. Pull from the oven after about 15 minutes or so, depending on your oven temperature. The bottoms should be lightly browned, and the tops will appear somewhat loose. After a few minutes, transfer to a wire rack to cool. Ms. Walter's recipe below, and below that, the method I used. Blend sugars and butter until well combined. Add oil and beat well, so mixture doesn’t separate. Combine flour, baking soda, salt and cream of tartar in a separate bowl, and add to mixture. Add the oats, rice krispies, coconut and nuts. 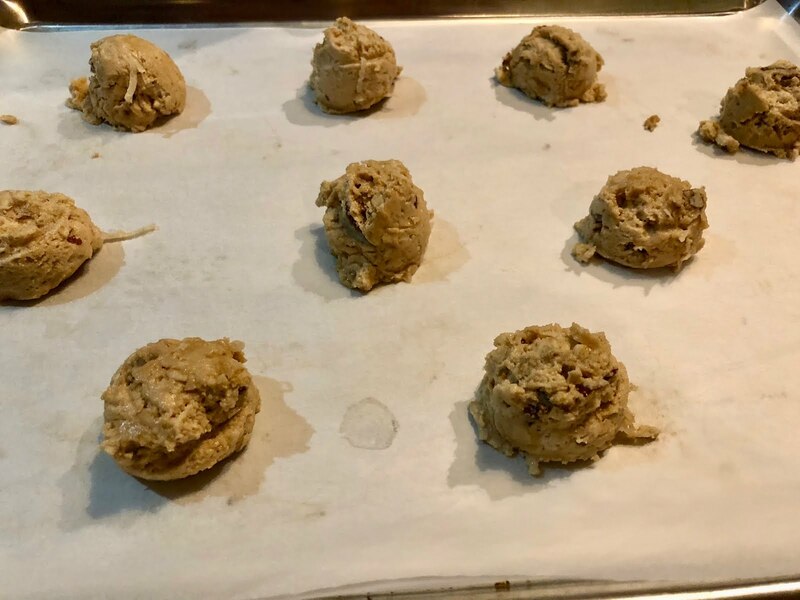 Form golf-ball sized balls of dough and place on parchment-lined baking sheet. Bake 12 to 16 minutes, depending on your oven. Let cool a few minutes on the baking sheet, then transfer to wire racks. These will keep a long time (but they’ll be long gone before then). I made these in the midst of the great Michigan freeze 2 days ago, and they are fantastic! I did decrease the sugar just a tad. Everybody loved them. Thank you. I have made them twice since. Everybody loves them. Again thank you for this recipe.